There is no way around it: the hot summer holidays-traveling, mid-year spring business trips, and traveling to visit the folks over the holidays in winter, while fun, can be a serious headache for someone who cares about how they look and the health of their skin while traveling. The last thing you need to worry about while dashing to catch your flight at the airport, or weaving through traffic in a strange city, is whether your skin will look as good as when you left your home or hotel and your make-up as intact when you get to your destination. Here are some of the top skin-saving travel beauty tips you need to know to keep looking your best and keep you healthy wherever life takes you and no matter the weather conditions you expose your skin to. When traveling to hot, dry, and sunny destinations, it is very important that you protect your hair and skin from the sun. 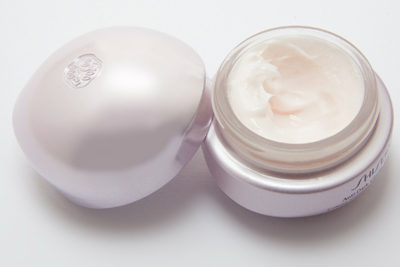 The first line of defense against the harmful UV rays of the sun is applying an SPF 30 or higher moisturizer. UV rays can quickly turn your hair color too, so it is important that you keep them covered, and apply a treatment of conditioner with a drop of water often to prevent stripping when it comes in contact with new water. If your skin turns shiny when exposed to the sun and heat, consider using a cleanser with 2% salicylic acid content to reduce oil production and to prevent cracks. While applying SPF, do not forget these sensitive areas that are often overlooked: the scalp, the back of the neck, ears, hands, and chest. Whether your hair is fine or thick, curly or straight or a combination of all these, exposing it to rainy weather results in one thing: lots of frizz. The key to preventing fuzzy hair texture is to protect the cuticles using a light gel or mousse and ensuring that the entire follicle is smooth. As for your face, you can go for waterproof make-up products including eyeliner and mascara, but remember to go light on the makeup. Heavy makeup just doesn’t do in high humidity. While running errands or going about your business, ward off humidity using an umbrella to reduce the chances of the hair and makeup getting soaked. You can go a step further and buy a good anti-humidity spray for your hair, and blend your makeup so it remains intact even if you get caught in a downpour. Remember that since the sun is not shining, your makeup should not. Use a primer with a powdery matte finish that repels excess oil and shine and can last an entire day. Experts recommend that you do not exfoliate at least three days before you travel to someplace cold and windy. This is because those dead skin cells act as a layer of protection for your skin. Contrary to what most people believe, the cold windy weather can make the skin dull and dehydrated. The best way to keep the skin radiant and healthy is drink lots of water and to always moisturize while you beautify. The most effective trick is to use a heavy foundation layer while applying makeup, mixing equal parts of foundation and moisturizer before applying. Even when the sun is not visible, UV rays can damage the skin. When heading outdoors, protect your skin by sticking to your SPF summer routine—apply a broad-spectrum SPF 30 sunscreen and if the wind leaves your face red and inflamed, consider going for a green-tinted moisturizer. Rocking your favorite bikini or swimsuit means that a large percentage of your skin and hair will be at the mercy of nature. First off, make sure you exfoliate, and gently so to prevent damage to the skin. Sunscreen is a must-have product while heading to the beach, so make sure you have a broad spectrum 30SPF+ sunscreen and should be enough to apply a fresh coat every two hours. The salt water can dry out and damage pedicure and manicure, so make sure that you apply a polish that is strong enough to prevent chipping while you build sand castles. For complete protection while out at the beach, get a pair of good sunglasses that covers the entire eye area and protect your hair from direct sunlight and the wind with a broad-brimmed beach hat. While planning and packing for a cruise, know that the sun will be a big part of the trip as the ship is essentially a warm-weather destination. Make sure your skin and hair are ready for the heat by hydrating properly, and staying away from peels and laser treatments to avoid hyper pigmentation and sun damage on the skin. If you can, have your stylist trim your hair a week ahead of the trip, and if you have highlights, remember to pack an UV spray or leave-in conditioner to protect the hair from direct sunlight. While onboard, look fresh and natural by wearing a good SPF sunscreen and applying light makeup that you use during the summer. It is also wise to choose waterproof gel eyeliner, mascara, and lip gloss that work well with your skin tone. A valuable beauty tip is to always keep your body hydrated because it gets very dry and hot out in the sea. 1. Stay hydrated: whether you are traveling to a hot, arid climate or a cold, frozen planet, keep your body hydrated by drinking lots of bottled water to prevent the skin from drying inside out. 2. Do as the locals do: When you go to Rome, do as Romans do. You can learn a lot from the locals regarding how to protect yourself from the elements. 3. 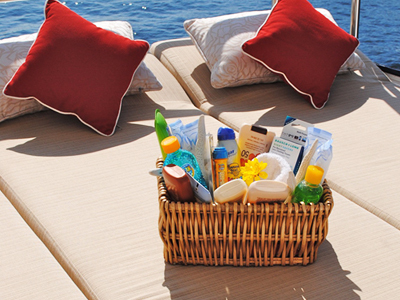 Sunscreen is your shield: Take your sunscreen wherever you are traveling to. On sunny mid-days or cloudy evenings, always apply sun cream to protect the skin from the sun. 4. Get extra protection: Consider wearing hats, scarves, sunglasses, and other body covering clothing as added protection from harsh weather elements. 5. Deep cleanse: Heavy sun creams, hot weather, the sweat, and the stresses of traveling can cause the skin to breakout. Therefore, do a deep cleanse as soon as you get home. According to New York-based cosmetic dermatologist Paul Jarred Frank, a change of environment is such a big deal for your skin that it can exacerbate existing and dormant problems. He says that even the products you use at home may have to be kicked to the curb when you hit the road.